Bulimia nervosa, also called binge and purge syndrome, is a habitual eating disorder characterized by frequent episodes of excessive food intake followed by self-induced vomiting, excessive exercise, fasting, or taking laxatives to avert weight gain. Bulimia is a big problem on college campuses. According to the National Association of Anorexia Nervosa and Associated Disorders (ANAD) approximately 25% of college-aged women engage in bingeing and purging as a weight-management technique. When it comes to eating disorders, many parents assume that they would be able to tell by their student’s extreme weight loss if they had an eating disorder, however, when it comes to bulimia, the problem is not always visible. Is My Child Unhappy With His/her Body? Individuals with eating disorders come in all shapes and sizes. Instead of asking if your child is too skinny, ask if they are happy with the way they look. Thin people can think they are fat and still have an eating disorder. Overweight teens are at risk for bulimia just as much as underweight teens are as well, though they are less likely to be suspected of having an eating disorder. If your teen is unhappy with their body, and regularly comments on it, this may be a sign they are suffering, whatever their weight. Contrary to the beliefs of bulimics, purging does not cause weight loss. At least half of what is consumed during a binge remains in the body after purging. The body still absorbs the calories of the food ingested. 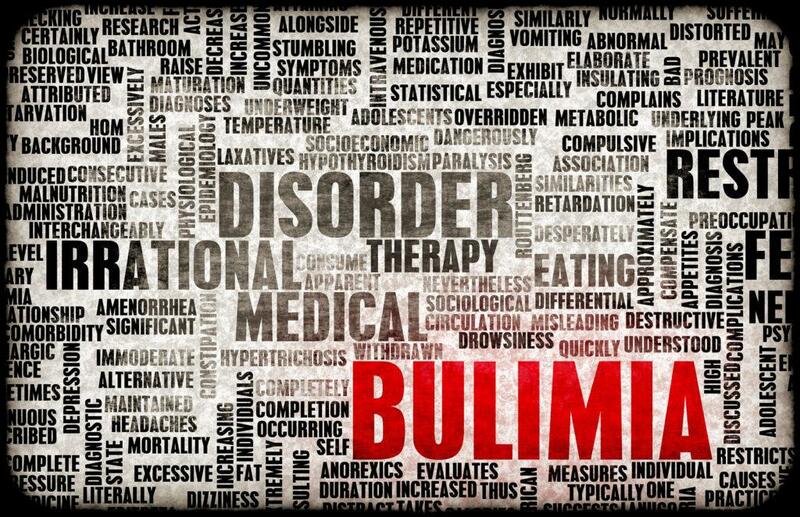 Therefore, even when an individual has been suffering with bulimia for a while, they may not lose much weight and it can be hard to tell just by looking at them if they are bulimic. What Is My Child’s Relationship With Food? It is not anyone’s fault when a child becomes bulimic. Many people blame the photo shopped images in the media or often blame the bulimic individual themselves. However, regardless of environmental factors, the individual’s relationship with their body and food is at the root. Bulimia often starts with a diet, which is intended to help the individual feel better about their body. This sometimes results in severe restrictions of food, compensating by binging, feeling guilty about overeating, and beginning a cycle of binging and purging. The cycle, once started, is difficult to stop. Does My Child Show Signs of Binging and Purging? Bulimics are good at hiding their disease. They hide food and binge and purge in secret. Some signs of purging can include frequent smells of vomit, excessive trips to the bathroom (especially around meal times), excessive exercising, eating large amounts of food with no weight change, use of diuretics and laxatives, and evidence of binges such as food wrappers and containers. Long term bulimics often have swollen glands and discolored teeth from purges. If you think your daughter or son may be suffering from bulimia, it is important to get help. Bulimia can cause long term issues including tooth decay, acid reflux, ruptured stomach or esophagus, loss of menstrual periods and fertility, and chronic constipation. Recovery is possible, and there are trained professionals that can help your child develop healthier attitudes about food and their body. Start by calling the National Eating Disorders Association’s toll-free hotline at 1-800-931-2237 for free referrals, information, and advice.